^ 4.0 4.1 Coast guard patrol ships Project 1248 Moskit. RussianShips.info. [2018-06-13]. ^ Monitor Specifications（浅水重炮舰参数）， Archived copy. U.S. Navy Mobile Riverine Force. [2018-06-13]. （原始内容存档于2010-07-16）. ^ Hlídková loď PRESIDENT MASARYK [巡逻舰马萨里克总统号]. Czechoslovakian Army 1938. [2018-06-05]. （原始内容存档于2015-09-23） （捷克语）. Robert Gardiner (编). Conway's All The World's Fighting Ships 1860-1905. London: Conway Maritime Press. 1979. ISBN 0-85177-133-5. Randal Gray (编). Conway's All The World's Fighting Ships 1906-1921. London: Conway Maritime Press. 1986. ISBN 0-85177-245-5. Roger Chesneau (编). Conway's All The World's Fighting Ships 1922-1946. London: Conway Maritime Press. 1980. ISBN 978-0-85177-146-5. Robert Gardiner (编). Conway's All The World's Fighting Ships 1947-1995. London: Conway Maritime Press. 1995. ISBN 978-1-55750-132-5. Friedman, Norman. U.S. Small Combatants: An Illustrated Design History. Annapolis: Naval Institute Press. 1987. ISBN 0-87021-713-5. Mark Axworthy, Cornel I. Scafeș, Cristian Crăciunoiu. Third Axis, Fourth Ally: Romanian Armed Forces in the European War, 1941-1945. 1995. ISBN 9780977615537. Carrico, John M. Vietnam Ironclads. Brown Water Enterprises. 2007. ISBN 978-0-9794231-0-9. Michael B. Barrett. Prelude to Blitzkrieg: The 1916 Austro-German Campaign in Romania. Indiana Univ. Press. 2013. ISBN 9780253008701. Gordon Rottman. 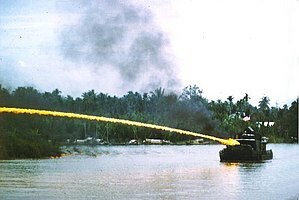 Vietnam Riverine Craft 1962-75. London: Osprey Publishing. 2006. ISBN 978-1-84176-931-8. Angus Kostam. Mississippi River Gunboats of the American Civil War 1861-65. London: Osprey Publishing. 2002. ISBN 978-1-4728-0095-4. Angus Kostam. 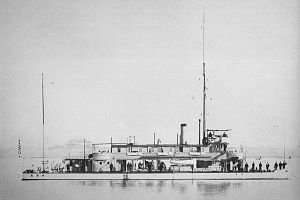 Union River Ironclad 1861-65. London: Osprey Publishing. 2002. ISBN 1-84176-444-2. Angus Kostam. Gunboats of World War I. London: Osprey Publishing. 2015. ISBN 978-1-4728-0499-0. Angus Kostam. Nile River Gunbaots 1882-1918. London: Osprey Publishing. 2016. ISBN 978-1-4728-1477-7. Kramer, Charles (Illustrator). Cutaway view of Vietnam "River Battleship". Popular Mechanics (Charles Kramer of Zik Assoc., Ltd). 1967. 海军司令部《近代中国海军》编辑部 (编). 近代中国海军. 海潮出版社. 1994. ISBN 978-7-80054-589-4. 章骞. 无畏之海：第一次世界大战海战全史. 济南: 山东画报出版社. 2013年7月. ISBN 978-7-5474-0541-3. Angus Konstam著，王小可 徐玉辉 译. 长江上的炮舰：1900-1949年. 北京: 海洋出版社. 2016. ISBN 978-7-5027-9540-5. 陈悦. 中国军舰图志（1855-1911）. 上海: 上海书店出版社. 2015. ISBN 978-7-5458-1154-4. 陈悦. 清末海军舰船志. 济南: 山东画报出版社. 2012. ISBN 978-7-5474-0534-5. Windward. 扬子江上的木屐船——日本在华炮舰小史. 战争史研究: 34-57. ISBN 7-204-04651-X. 陈悦. 北境虚兵：伪满洲国江防部队的军舰. 现代舰船. 2013, (1月B刊).